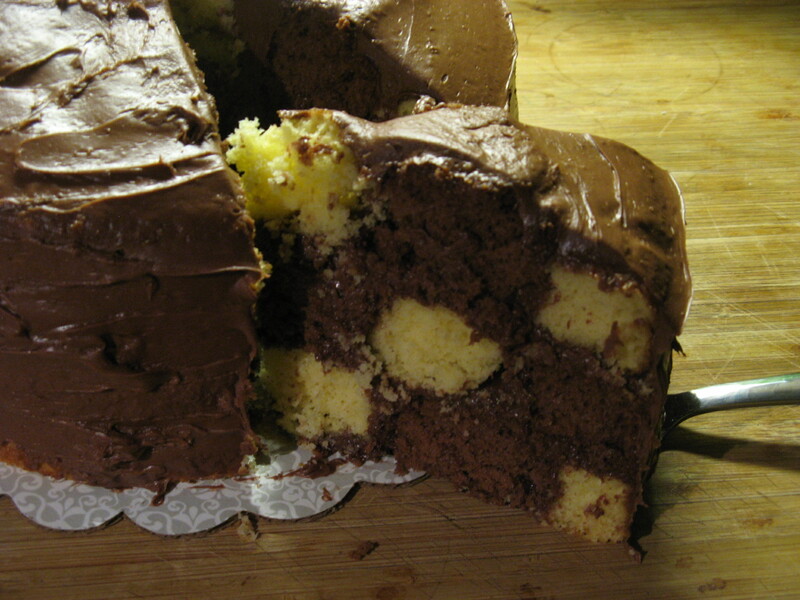 I’ve attempted to make a Checkerboard Cake two times before and both times I didn’t have much luck. 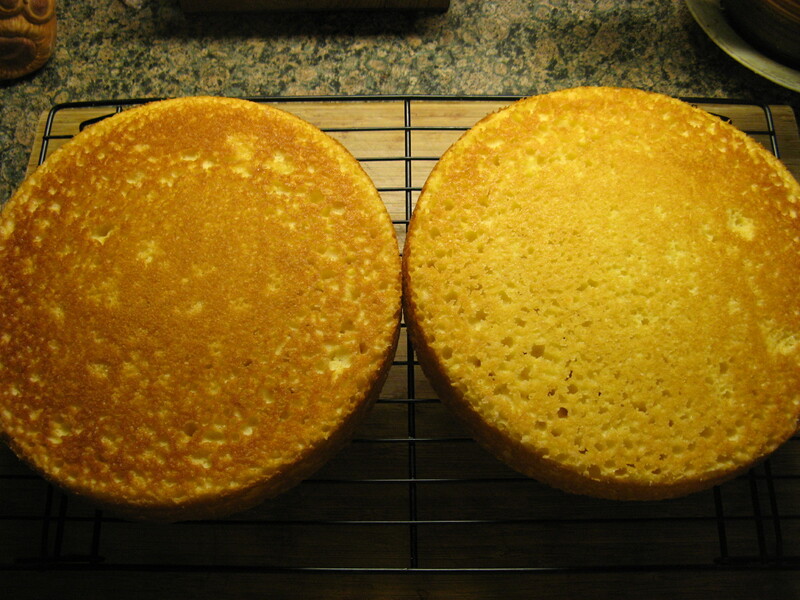 The first time I followed the directions on the pan set I have for it exactly, even following the recipe for the cake and I didn’t like the taste of the cake and my cake batter ran into each other so it didn’t look all that great when I sliced into it. 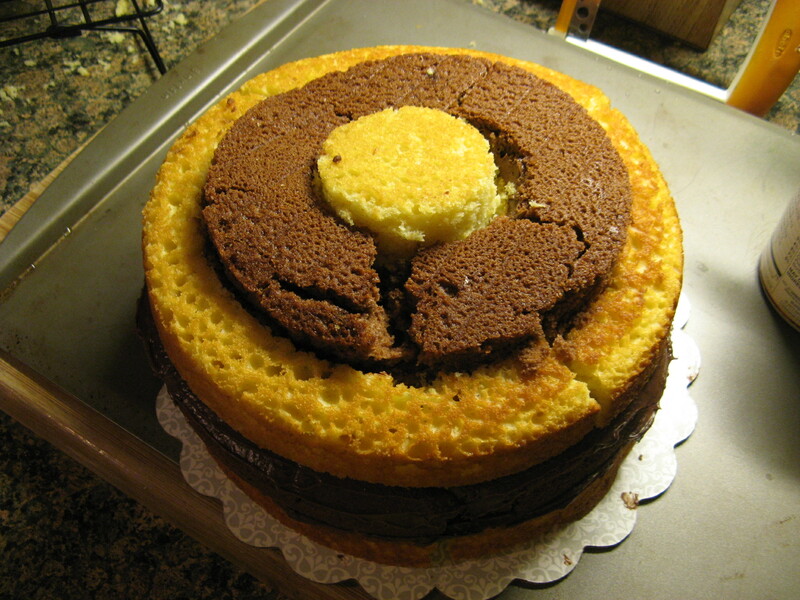 The second time I opted to use box cake and while the cake tasted better I still had the issue of the cake batter running so once again not all that checkerboard looking when I sliced into it. According to the directions for the pan set you put the ring separator into the pan, pour the batter in, remove the ring and then bake. 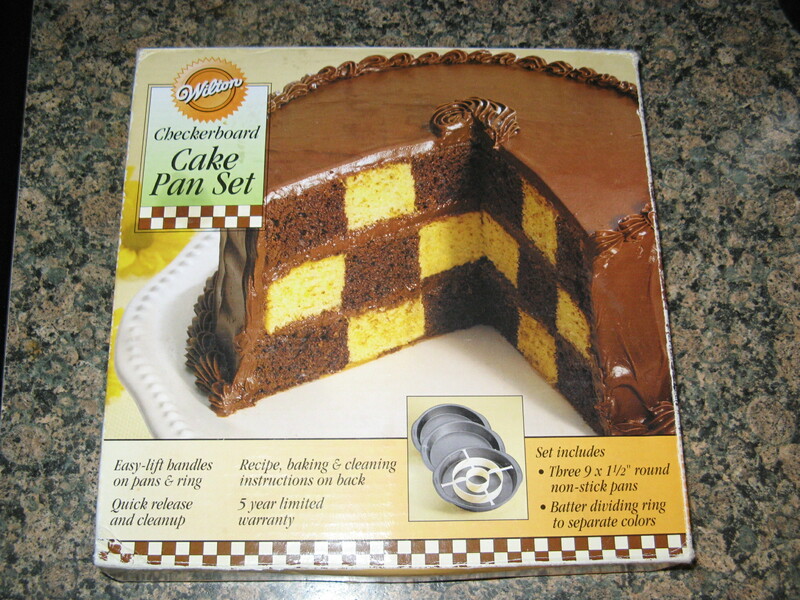 This wasn’t working for me, so on this (my third) try I opted to bake the cakes first and then use the ring separator to cut the cakes and then assemble it for the checkerboard pattern and I’m happy to say I didn’t strike out! 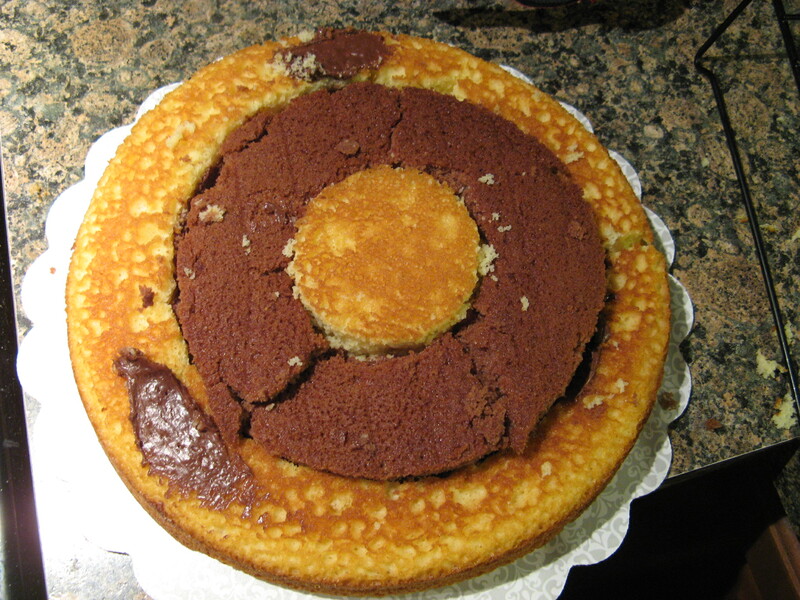 Granted it was a bit messy to assemble but it wasn’t anything that couldn’t be fixed (or hidden) with a little frosting. 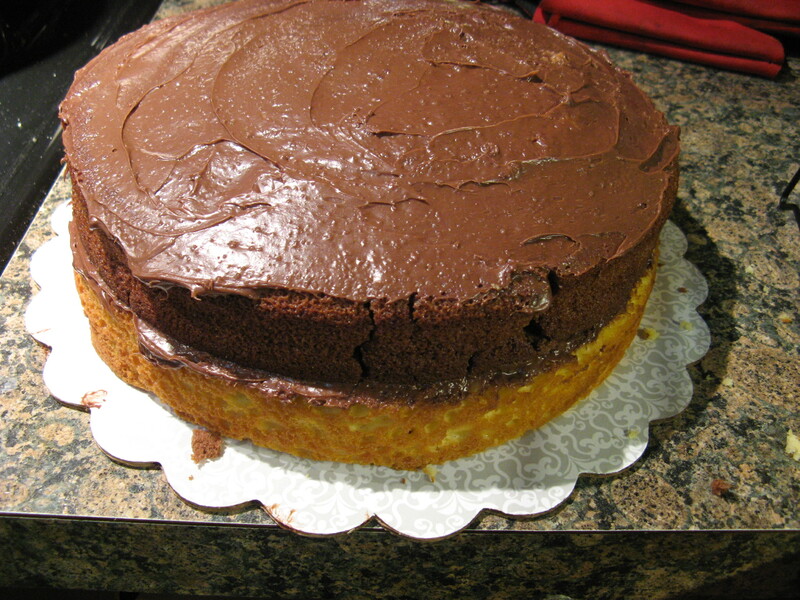 Using Betty Crocker’s Super Moist Milk Chocolate and Yellow cake mix I prepared the cakes according to the directions on the box. 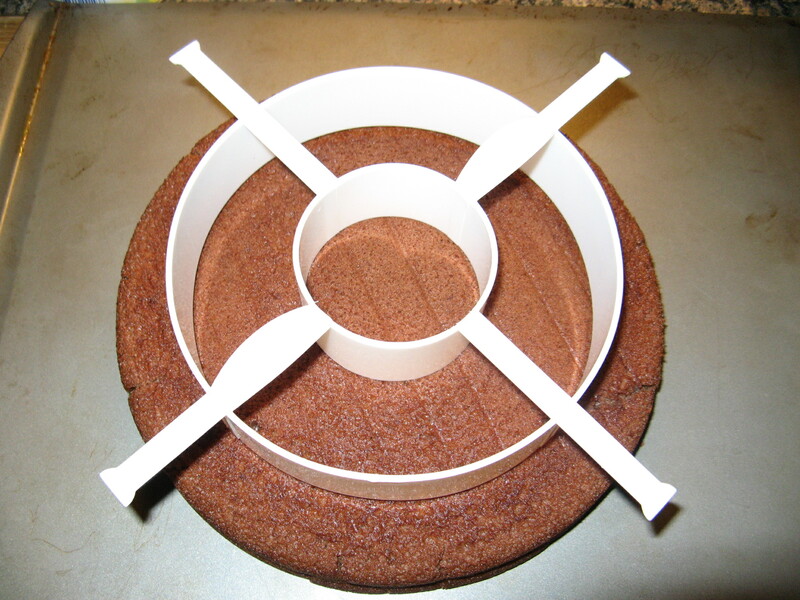 After letting the cakes cool I took the ring separator and sliced each of the cakes into three rings. And then the messy part began… Assembling. As you can see some of the rings broke up a little, but like I said frosting covered up all the little imperfections. 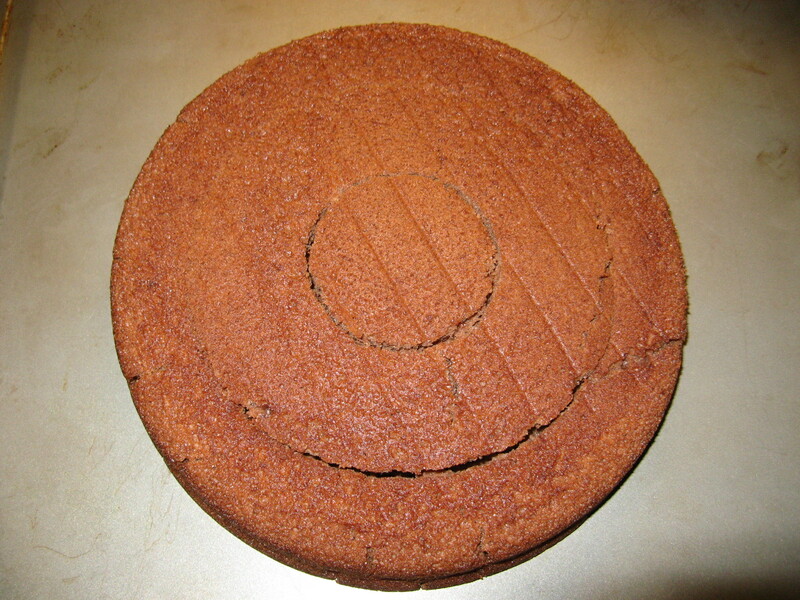 To make sure the rings of the cake wouldn’t fall apart when slicing I “glued” them together with icing along the inside of each ring. 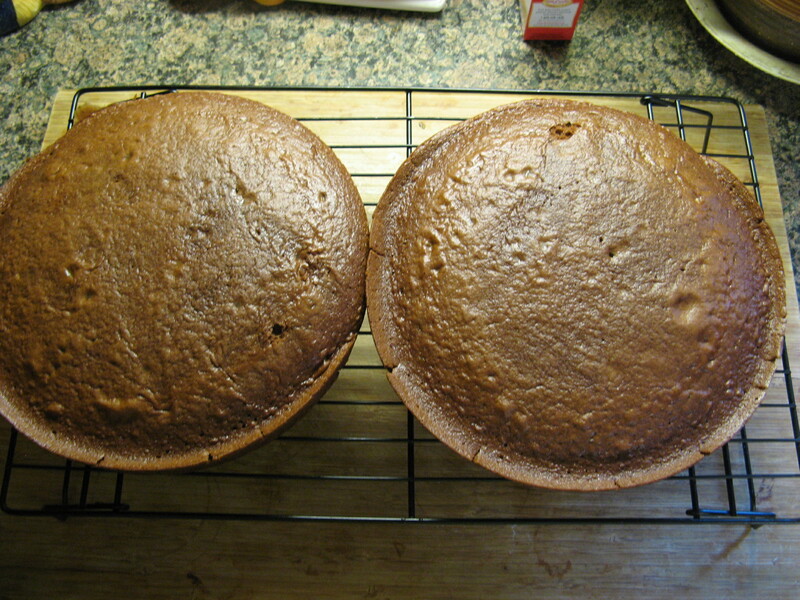 After covering the first layer with frosting I added the second layer and then spread frosting on it as well. 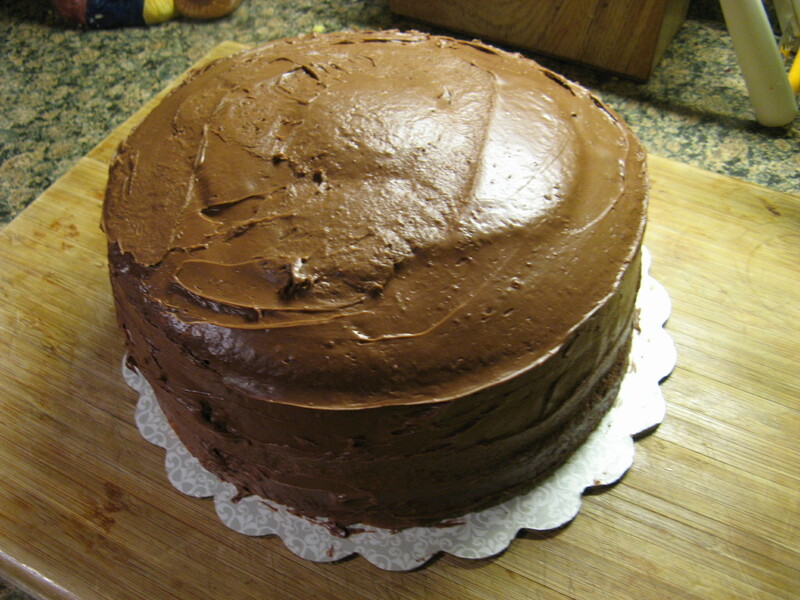 I’ll admit the final product was a bit lopsided and could have used a little extra frosting (I used two containers of Betty Crocker’s Milk Chocolate Frosting to get to this point) but this was an afternoon whim of baking to see if the technique would work. And the moment of truth… I got a pretty decent looking checkerboard!!! The saying is true… If at first you don’t succeed try, try, try again. 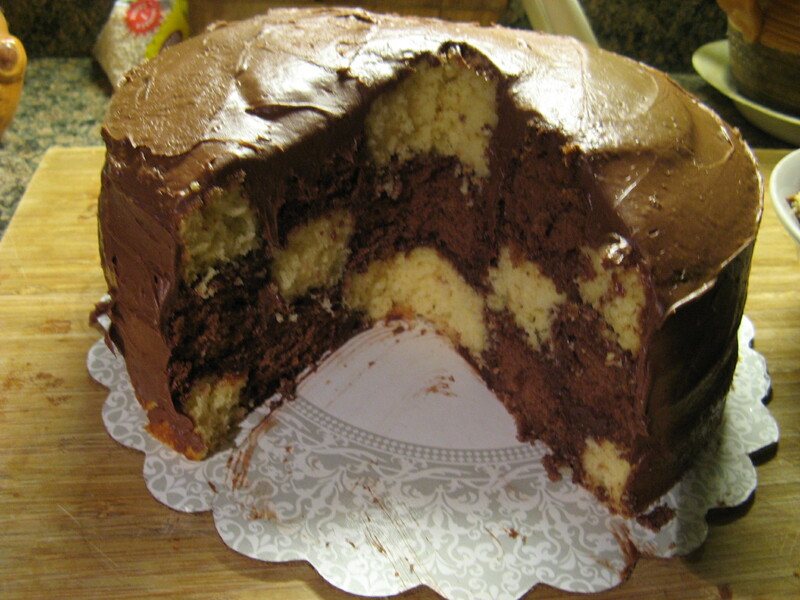 And I’ll definitely be trying it again with more time and frosting.